Deputy Mayor, Sherod Duncan’s strong objection to the companies approved to provide parking meter services in Georgetown on Sunday attracted unqualified support from a government adviser. Ruel Johnson, who is the Cultural Policy Adviser to the Minister of Education, Culture, endorsed Duncan’s position that the companies barely exist and have no track record to provide parking meter services in any other part of the world. “And dear coalition government, you cannot have what for all purposes seems a sham company control a critical revenue system in the capital for decades to come – indeed 10 seconds would mean that this indecency would have parked itself on the city’s potential development for too long,” Johnson said on his Facebook Page. Johnson and Duncan are supporters of the Alliance For Change (AFC), one of the partners in the coalition with the People’s National Congress Reform (PNCR)-dominated A Partnership for National Unity (APNU). City Mayor, Patricia Chase-Green, who is from the APNU, has sought to justify the selection of the companies that Duncan stopped short of labeling shells. Recently, AFC Chairman, Nigel Hughes has spoken out over the manner in which vendors outside the Stabroek Market were removed. He has also provided legal representation and held meetings with them in a bid to have them organised in a structured manner. 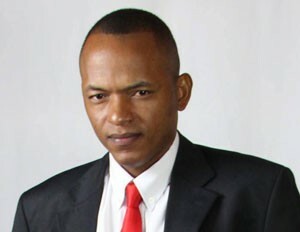 Cultural Policy Adviser to the Guyana Government, Ruel Johnson. Johnson, who is well-known for his harsh criticism of the past People’s Progressive Party Civic administration, questioned why any sane person interested in good governance would push through the parking meter deal and where are the voices of the other councilors. “Even if there were a majority in favour, there has to be a reasonable minority against this. Citizens of Georgetown, here is your chance to demand better of your government. This is basically Fip Motilall on a smaller economic scale but with more lasting and widespread impact,” Johnson said. Motillall had been paid millions of dollars to construct an interior road to the Amaila Falls Hydropower site but he never completed the job. The Deputy Mayor, who is also chairs the Legal Affairs and Security , and Information Technology Committees, said he has been provided with very little information about the National Parking Systems (NPS) / Smart City Solutions from which to make a quality judgment and offer his possible support to the project I have had to resort to my only independent research. “It is my firm belief that the architecture of a traffic and mobility management policy must be the construct of several stakeholders, and the culmination of signing such a contract should have had due diligence done,” he said. Duncan said he has not found any company named ‘Smart City Solutions’ associated with parking meter systems, in any of the places the company is purporting to have done business like Panama. The Deputy Mayor said in his independent research on Simon Moshevilli who represents Smart City Solutions, he has found no one with that name connected with said company. Additionally, there is no evidence that such a company actually exists. 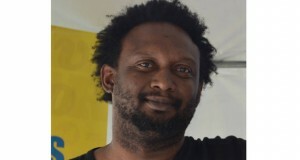 “Again, the total lack of verifiable information on the company and its capacity to execute the scope of the project and the absence of a contract on the proposed project I cannot offer my support and reaffirm my grave reservation of such a venture,” said Duncan who scored the second highest number of votes in the Local Government Elections in Georgetown. He was elected as Deputy to Chase-Green.